Noah’s Ark by award winning filmmaker Juan Pablo Buscarini is an exciting animated retelling of the classic bible story. It is a wonderful family film that was enjoyed by myself and my three children ages 6, 7 and 8. In this adventure twist, the story features Noah who is building the legendary ark in order to save two of every species on earth before the Great Flood destroys it. The animals are all lined up two by two when the realism of them all living together on a tight ship sets in quickly and everyone realizes that this isn’t going to be easy an easy voyage at all. 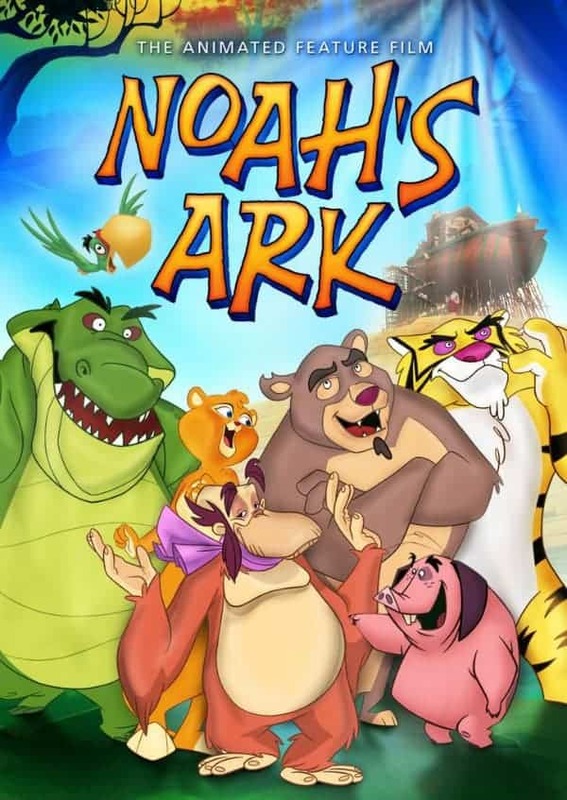 When the rain starts to fall the animals get hungry, Noah’s family starts to argue, a tiger wants to replace the lion as the king of the beasts and a group of stowaways plan to take over the ship. Thankfully, Noah has faith so there is still hope that he will still be able to deliver the Ark and the animals to safety when the flood ends. I was pleased to learn that this movie has received the Dove “Family-Approved” Seal for all ages and we sat down with a bowl of popcorn to view this movie. My kids are quite familiar with the biblical story of Noah’s Ark so I knew that they were sure to enjoy this movie and I was proven right. They thought it was a lot of fun to watch this family oriented animated film and then compare this movie to the real story. There were laugh out loud moments, the story was interesting, the animation was good and the characters are endearing so my children loved this latest adventure. Noah’s Ark is available by Shout! Factory as a full length movie on DVD for the SRP of only $9.99. You are invited to visit Shout! Factory to purchase this title and browse the entire selection of family friendly movies to enjoy your next family movie night.